Poster from “Another Roll of The Dice” that will premiere at North Coast Repertory Theatre. The 2018-19 season also includes multiple comedies, a wartime family drama, a Sherlock Holmes mystery, a Cold War intrigue, and the classic music of Patsy Cline. 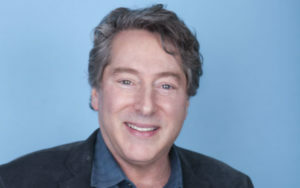 “We have chosen to present stories that will appeal not only to our loyal subscribers, but to a broad spectrum of theatre-goers throughout the county,” said Artistic Director David Ellenstein. “Blithe Spirit,” Sept. 5-20 — A socialite novelist, an eccentric medium, an unforgiving ex-wife and a shrewish spouse create supernatural hijinks in this beloved Noël Coward comedy. “Holmes & Watson,” Oct. 17-Nov. 11 — Playwright Jeffrey Hatcher has conceived a masterful scenario in which three men claim to be the missing Sherlock Holmes and Dr. Watson is called upon to do some sleuthing. This West Coast premiere will challenge the most astute mystery buff. “Always…Patsy Cline,” Dec. 12-30 — This musical is based on a true story of Cline’s friendship with a fan, Louise Seger, who continued a correspondence with the singer to the end of her life. “Moon Over Buffalo,” Jan. 9-Feb. 3 — Comic genius Ken Ludwig, a master of old-fashioned knockabout farces, created this is a laugh-a-minute show within a show, with everyone in the wrong costumes and reading the wrong lines. “Gabriel,” Feb. 20-March 17 — It’s 1943 and a mysterious, handsome man washes up on the Nazi-occupied Isle of Guernsey. Four British women decide to protect him through cunning deceptions and bravery in the West Coast premier of British playwright Moira Buffini’s award-winning Off Broadway play. “All in The Timing,” April 10-May 5 — This Off-Broadway hit is a sextet of one-act comedies by playwright David Ives, who uses inspired language and wordplay to examine various attempts at relationships and communication with comical results. “A Walk in The Woods,” May 29-June 23 — With world tensions escalating, Lee Blessing’s play is especially relevant today. Set in the midst of the Cold War, a U.S. and Soviet arms negotiator agree to meet informally. 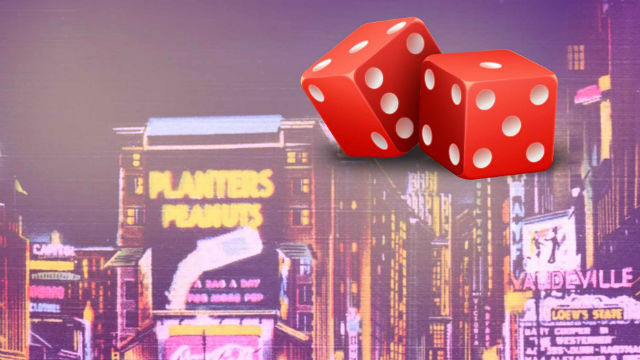 “Another Roll of The Dice,” July 10-Aug. 4 — This world premiere musical reunites songwriter Frank Loesser and author Damon Runyon, the creators of the legendary Broadway musical “Guys and Dolls.” In “Dice,” three classic Runyon stories are intertwined with hits from the Frank Loesser songbook. Subscription tickets to the Rep’s new season are available now online. Based in Solana Beach, North Coast Rep is a non-profit professional theater company that has evolved into one of the San Diego region’s leading performing arts organizations.